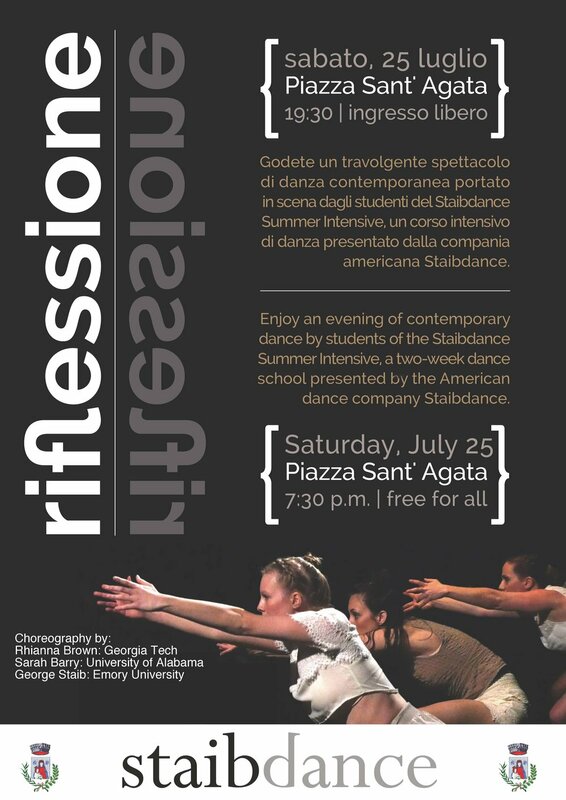 I created a trio on dancers Amber Baldwin, Victoria Beale, and Ella Sharpe to premiere in Sorrento, Italy on July 25, 2015 as the culmination of training and performance workshops with Staibdance. The 7 minute dance was created around ideas of growing friendships, with music by Nadia Sirota and costumes by Caitlin Tuten. ©Copyright 2018 Sarah M. Barry / All Rights Reserved.